February 05, 2018 – Rolla & Vichy, MO – Brewer Science, a global technology leader, is pleased to announce they have earned Zero Waste to Landfill Certification for the third consecutive year. The Zero Waste to Landfill Certification represents Brewer Science’s commitment to the responsible management of end-of-life materials and demonstrates the company’s commitment to waste diversion practices. GreenCircle Certified, LLC (GreenCircle), completed extensive audits of the Rolla and Vichy manufacturing locations to verify outgoing material streams. The Zero Waste to Landfill certification is valid through December 2018 and can be viewed in GreenCircle’s Certified Product Database. Brewer Science remains committed to protecting the environment, conserving resources and providing a healthy, safe, and secure workplace. Environmental responsibility continues to be a priority at Brewer Science. In addition to training and active employee engagement in proper disposal techniques, Brewer Science promotes a community collection program, partnering with waste disposal companies and volunteer crews to prevent community e-waste from becoming a part of a landfill. 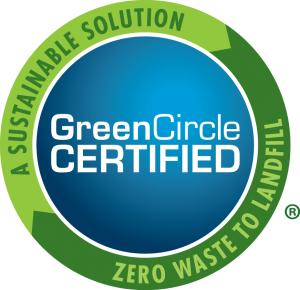 GreenCircle Certified, LLC was established to ensure specificity in third-party certification after encountering many unsubstantiated claims in the marketplace. Since 2009, GreenCircle has offered forward-thinking companies a competitive advantage by providing specific, third-party certification of environmental claims. GreenCircle’s rigorous evaluation process provides independent verification that claims of sustainable aspects of products and operations are valid. Manufacturers, suppliers, regulators, occupants, and consumers can be assured that products labeled with the GreenCircle Certified mark have been thoroughly assessed and their claims verified to applicable standards. Learn more at www.greencirclecertified.com/.